Compuflex Corporation Enterprise solutions extend beyond the confines of a single site location and utilize distributed technologies. It takes a hierarchal approach for accessing key information (i.e. institutional, regional and single-site) and is highly customizable. 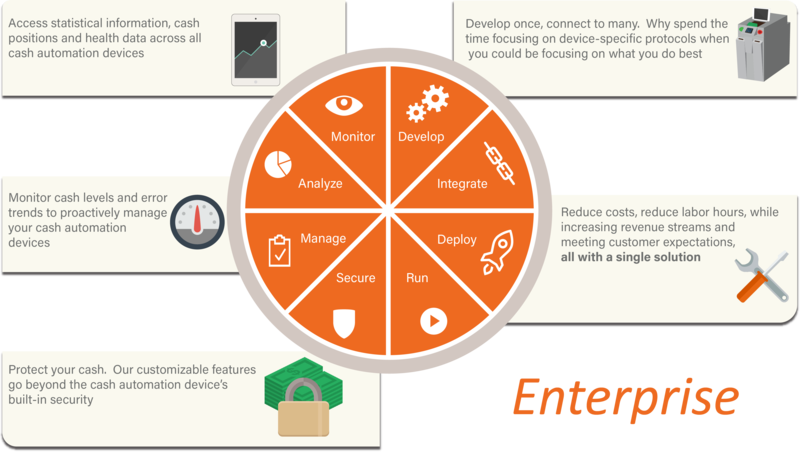 The Enterprise solutions consists of centralized device data which can be utilized for supporting any enterprise need (i.e. reporting, analytics, health reports, etc. ).